3D printing is an art in itself but local artist with Blossoms of the Heart, Christine Samad and her husband have brought it to the next level. Christine is a very creative individual that has a passion for creating plot lines with characters and props that she designs. With the plot idea in mind, her and her husband bring them to life using one of their four personal 3D printers, but it doesn't stop there. With the 3D figure physically in front of her, Christine then paints over them to establish her original imagination of her creation. 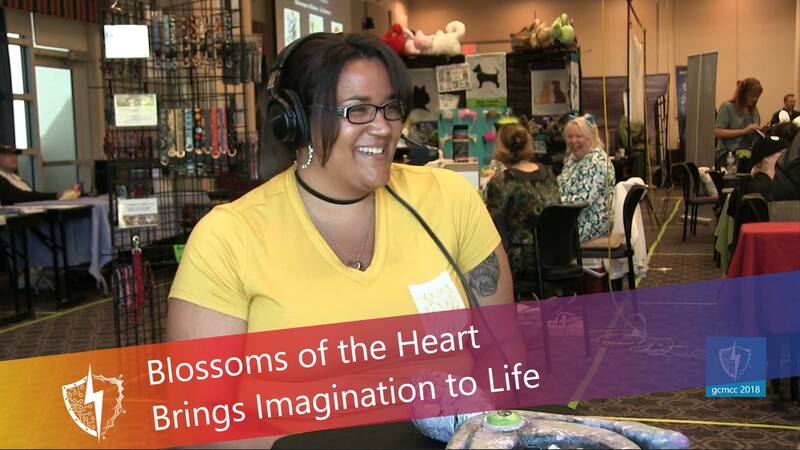 Blossoms of the Heart came to Gulf Coast Maker & Comic Con to show off just what they can do and discuss their passion with buyers and other makers. Christine's creative inspiration comes from her 2nd grade classroom, as she is a teacher on the side. She has found that her stories bring joy to the kids and that's where it all started. As well as her art, she has also self-published a few children's books on Amazon. You can go to the Blossoms of the Heart website to view some of Christine's creations and for links to purchase some for yourself. You can also find them on Facebook: @Blossomsoftheheart.